Landscape NSW ACT Ltd (LNA) in conjunction with Ross Garden Tours recently returned from a study tour of Singapore that was available to landscape professionals wanting to master their craft, especially designed to suit our members and allied professionals within the landscape Industry. I thoroughly enjoyed the LNA trip to Singapore. The accommodation was superb and couldn't be faulted, the gardens, green walls and roofs spectacular and the 'behind-the-scenes' talks were stimulating and informative. The whole trip was well-organised, value for money and lots of fun. We came back with lots of new ideas, new friends within the industry and renewed passion. This was a wonderful opportunity to see and learn about the greening of Singapore, a densely populated island with a 47% canopy cover. We saw examples of street planting, roof gardens, vertical gardens, indoor gardens, Botanic Gardens, Gardens by the Bay and nature reserves, all with knowledgeable local guides. So much of this was built with new technology, and there was a strong emphasis on sustainability. At the Botanic Gardens we learnt about the government policies that have transformed Singapore over the last 50 years, and the high value placed on plants and landscapes. 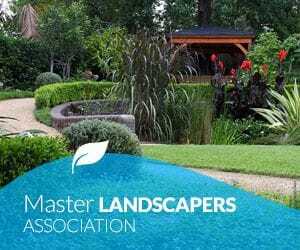 Linda Ross introduced us to the head of Singapore Landscape Contractors, and we spoke with two landscape contractors who built the show gardens for Brendan Moar and Jim Fogarty. We had a seminar with the architect and landscape architects responsible for our new and very green hotel, Park Royal on Pickering. The President of the Singapore Landscape Architects Association talked about his work for NParks, the government body that oversees all landscape design, construction and maintenance of the green infrastructure of Singapore. Also Landscape architect Stephen Caffyn, who has set up a new design company with Jim Fogarty and Andy Sturgeon called Garden Design Asia, talked about projects in Singapore. I was inspired by this tour. We learnt about so many ways of creating new landscapes in built up areas, ideas that could be applied to Sydney. We gained an understanding of the landscaping industry in Singapore and other parts of Asia. I would recommend this tour to anyone with an interest in the future of landscaping.